Palestinian activists and families of slain anti-occupation protesters slammed the Israeli occupation for executing their children and harvesting their organs after withholding their bodies for weeks. 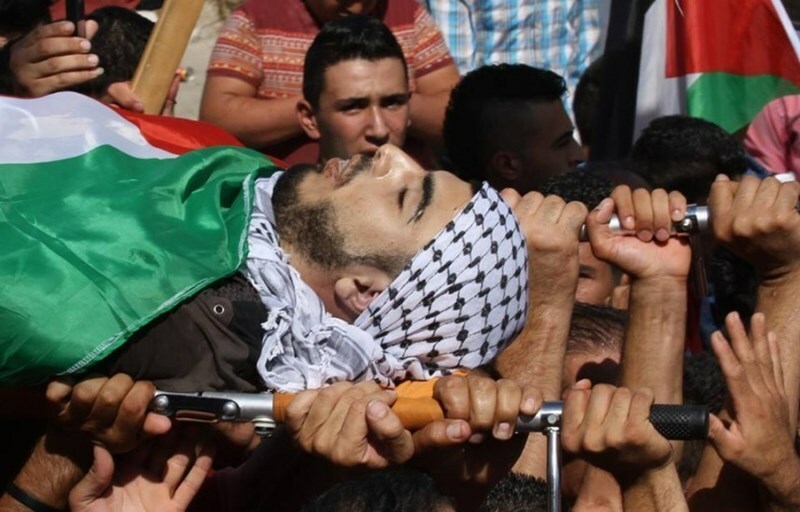 A number of families refused to succumb to Israeli conditions to bury their slain sons and daughters without carrying out postmortem autopsy. Other families succumbed to Israeli terms due to the pressure exerted by the occupation authorities and their eagerness to bury their children and bid them last farewell at the soonest time possible. Head of the Quds Center for Legal Assistance in Nablus, Saher Sarsour, held the Israeli occupation accountable for stealing Palestinians’ organs. 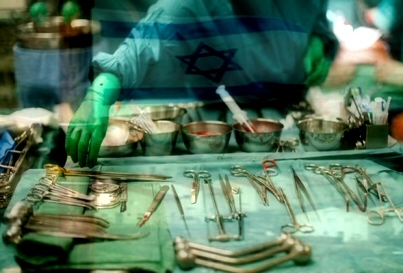 “Israel has a long history of harvesting the organs of detained Palestinian cadavers. There should be a mechanism of some sort or a third party to carry out the autopsy and prove whether certain organs were stolen and whether people were cold-bloodedly killed from a zero distance,” Sarsur said. The families of the killed Palestinians face tough conditions set by Israel in return for the bodies of their dead children, which some have accepted while others have rejected, while the international community remains silent regarding this inhumane Israeli practice. One condition set by Israeli authorities is that families receive the bodies and bury them during the night, which prevents the family from conducting an independent autopsy to figure out the cause of death. In many cases, Palestinian families are also forced to sign a number of documents written in the Hebrew language, which they do not understand. Sarsur added that the Israeli occupation turned Palestinian cadavers into bargaining chips, ordering families to shell out fines amounting to $14,000 in the event they violated conditions of the delivery of the bodies. At least 315 Palestinians have been withheld by the Israeli occupation authorities, 50 among whom detained since the outbreak of the Jerusalem Intifada in early October. There have been many reports, some captured on video, showing Israeli medics ignoring wounded Palestinians, and leaving them to bleed to death, in direct violation of International Law. Many Israeli medics also carry automatic machine guns despite the fact that whenever they operate in the occupied territories many fully armed soldiers always accompany them. Nearly a month ago, Israeli Prime Minister Benjamin Netanyahu, and his office, accused the Palestinian Red Crescent of refusing to provide medical aid to wounded Israelis and soldiers, but after his claimed were refuted, he rescinded his accusations. Nearly two weeks ago, Palestinian news agencies published a video of Red Crescent medics rescuing a wounded Israeli soldier. 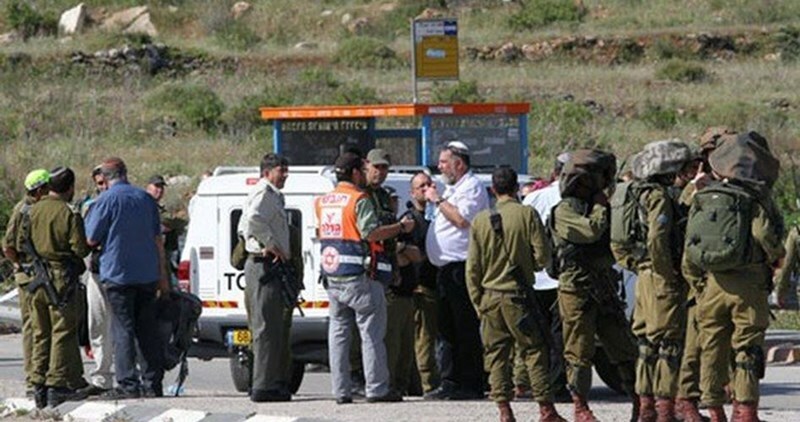 In October, when questioned about what appeared to be a practice of treating wounded Israelis first while ignoring Palestinians, the head of Magen David Adom said that the medics are not given instructions from above to do that. But he said they would continue to use different-colored body bags for Israeli and Palestinians who are killed, saying, "We need to distinguish between terrorists and Jews, and so we decided to put terrorists in black bags to distinguish." A wanted Jewish Israeli organ trafficker has been arrested at Istanbul's Ataturk airport in Turkey, a Turkish news agency reported, according to Days of Palestine. Dogan news agency said that Israeli national Boris Volfman was arrested on suspicion of organ trafficking and fraud, after flying from Bangkok on Friday night. The Palestinian ambassador to the United Nations (UN) Riyad Mansour said that Israel is harvesting the organs of Palestinians killed during the ongoing Jerusalem Intifada. According to the latest figures by the Palestinian Health Ministry, at least 74 Palestinians were shot and killed at the hands of Israeli forces since the beginning of October. The bodies of the Palestinian victims are most often held in Israeli custody for long periods of time before they are returned to relatives. In a letter to the head of the UN council, Riyad Mansour, permanent observer of Palestine to the United Nations explained that Israel steals the organs of Palestinians recently killed. "After physical examination of the returning bodies of Palestinians who were killed last October, the physicians found that the corneas of their eyes, as well as other organs, had been stolen", Mansour wrote in the letter. He added that this proves previous reports about organs theft. Israel's envoy to the United Nations, Danny Danon, refuted the letters as saying that Mansour has anti-Semitic motives. "Sanguinary mud by Palestinians reveals the anti-Semitic motives and reveals its real face," according to Danon. He said, "I call on the UN to refute this malicious accusation and to condemn the continued Palestinian incitement." Mansour's letter to Rekerovi concentrated on the current daily violence in the Palestinian territories. Palestinian Permanent Observer to the UN Riyad Mansour submitted a formal complaint against Israel on Wednesday, alleging that it had returned terrorists' bodies with organs missing. "A medical examination conducted on bodies of Palestinians returned after they were killed by the occupying power found that they were missing organs," Mansour claimed in the letter. Israeli Ambassador to the UN Danny Danon wrote a letter in response to the UN Secretary General, stating that "the Palestinian representative's anti-Semitic face has been revealed" and that the allegation was "blood libel". Danon urged the UN to sharply condemn "the Palestinian representative's inflammatory statements and remove anti-Semitism from the hallways of the United Nations."